Hire Us Today And We Will Save You A Lot Of Stress! 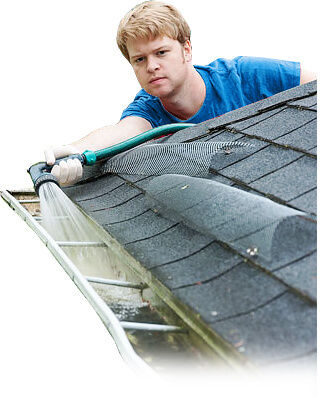 Everyone knows that gutters can get extremely dirty, and can block quite easily. In those events, it’s going to take a lot of hard and potentially dangerous work to get them back to their best. That’s why you need specialised gutter cleaners who can help cut out all that stress and time without a single mistake. 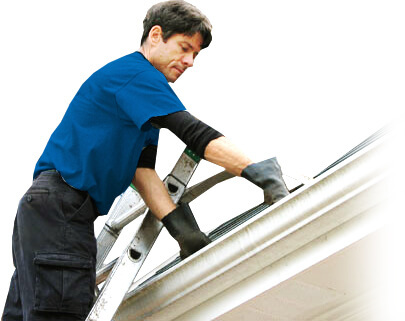 Gutter cleaning on your own poses all sorts of risks, and there have been a lot of serious injuries through time of people trying to do it without the proper knowledge. That’s where Handy Services comes in. We’ll clean your guttering in no time and at absolutely no hazard to your wellbeing. So act now, call 020 3793 4888 and hire the best cleaning services in London! The environment really does matter to us, and we carry over that sentiment into absolutely everything we do across the board. 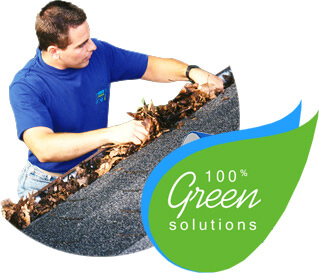 We’ve long been working out ways to conduct a gutter clean without burdening our planet, and we’ve come up with some inventive ways to stay on top of things. You’ll love how much we recycle, as we do so at literally every available opportunity. 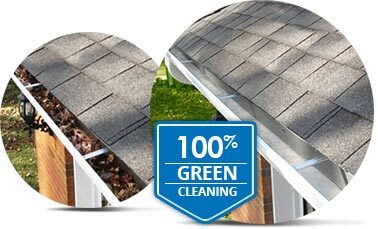 We go out of our way to make sure our gutter cleaning is safe and green at all times, as we know this is something that’s important to our customers too. We train our cleaners in all the best and most efficient ways to give back to the atmosphere! We wouldn’t have the reputation we currently hold if we weren’t the professionals for you. No matter where we go, our amazing gutter cleaners never let down the clients we send them to service. Their knowledge is expansive, and they’ll make executive decisions based on years of experience that will have your guttering sorted in the blink of an eye. Never before has a gutter clean been so easy and painless to conduct, so why spend another moment with blocked drains? You needn’t waste any of your precious spare time on chores that we can have done for you at the fraction of what you’d pay out if you left them be! Why Are Our Solutions The Right Choice? We help you to completely avoid any risk to yourself, and give you a lot more time and space to sit back and relax. Оur cleaners represent the apex tier of available professionals. They know exactly how to get your guttering back on its feet with the absolute minimum of hassle. Amazing supplies, which makes our results the best finish you can get. Nothing we use has any negative side effect on our environment. 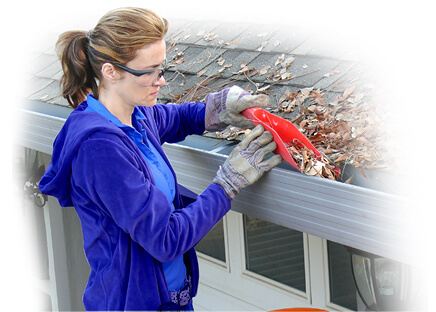 Same-day, emergency gutter cleaning as a choice for those who need things done quickly without any hesitation. We’ll give you results overnight! Budget prices to accommodate any potential customer, regardless of their income. Expert cleaning methods we’ve spent years honing and practicing to gutter perfection! A lot of people would be inclined to forget about gutter cleaning, and leave their guttering accumulating all sorts of filth and blockages. This can be a very dangerous route, as a badly maintained gutter can cause untold damage to a property and even the people within. At Handy Services we’ll help you sidestep such worries as damp in your walls, and clean your guttering without any hiccups along the way. This kind of peace of mind can be invaluable, so why take risks with the wellbeing of your own home by not getting in touch with us while you can? Call right now on 020 3793 4888 to finally put all those worries to bed! Amazing supplies, which makes our results the best finish you can get. We train our cleaners in all the best ways to give back to the atmosphere! We will do our best to ensure that your gutters are cleaned in a professional and timely manner, without imposing any risk to your property. Our team can remove the leaves, twigs and nuts even from the hard to reach areas, ensuring the proper function of your gutters. Clogs can cause roof and basement leaks, drywall damage and cracked foundation which can cost you a lot. Preserve your peace of mind by hiring our company today! 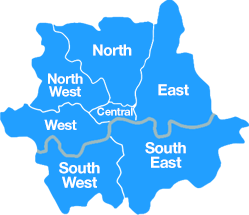 Contact our friendly team on 020 3793 4888 and learn more about our excellent services and competitive prices!